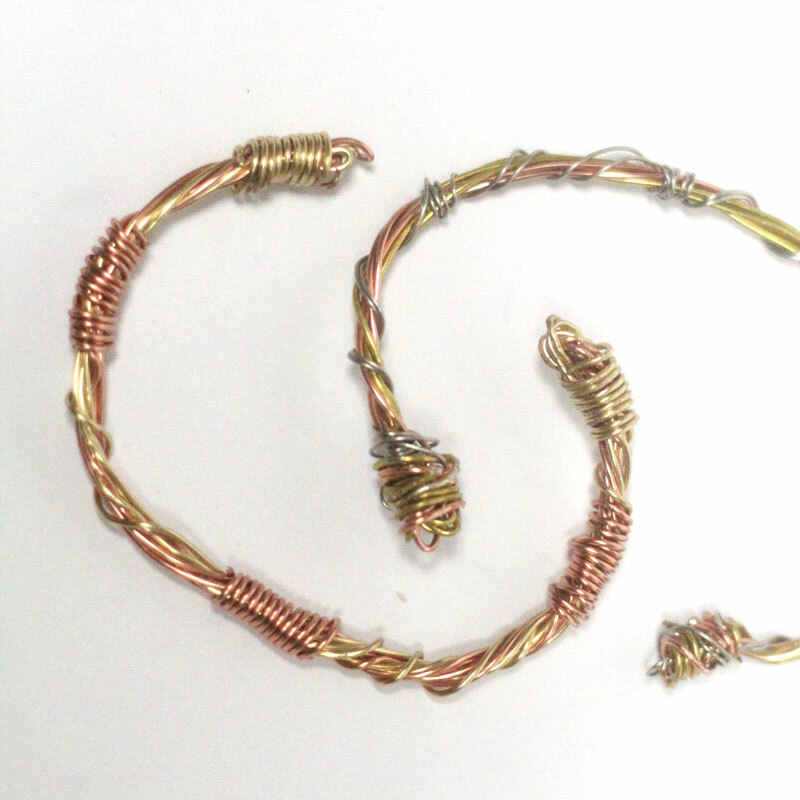 This wire wrapped bangle is the result of a hopelessly failed craft. 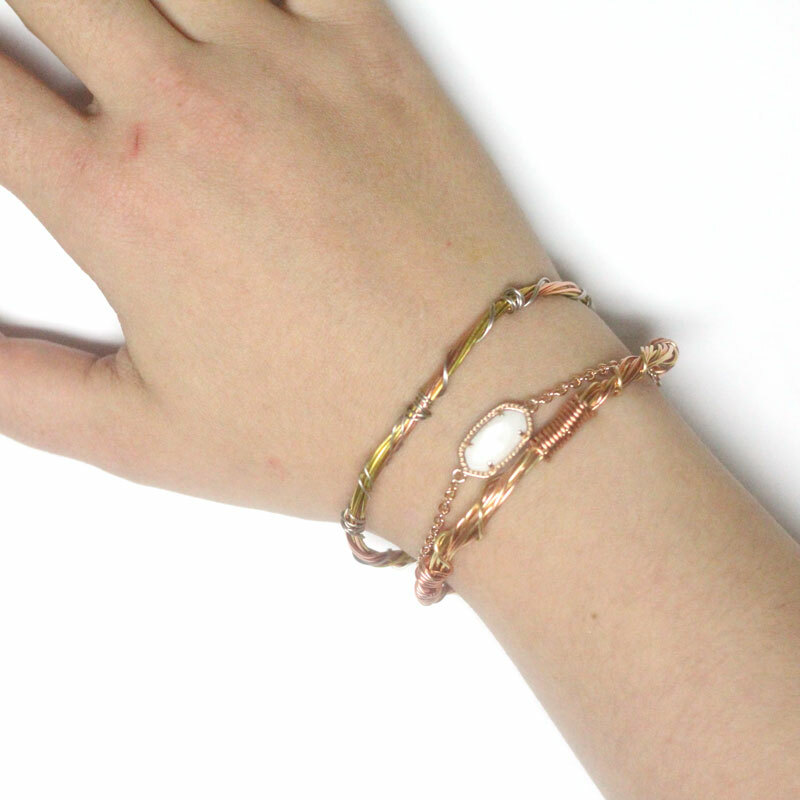 I’m so glad I was able to turn this one around, because I am absolutely in love with the bangle… I wear it all the time. 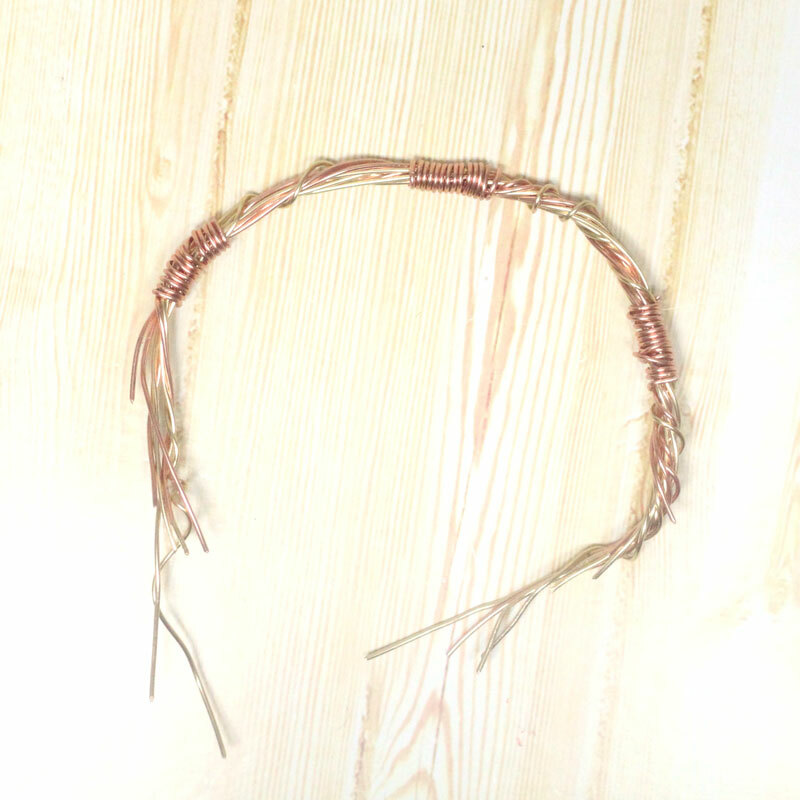 I made another using wire off the spool, not from a failed craft…. 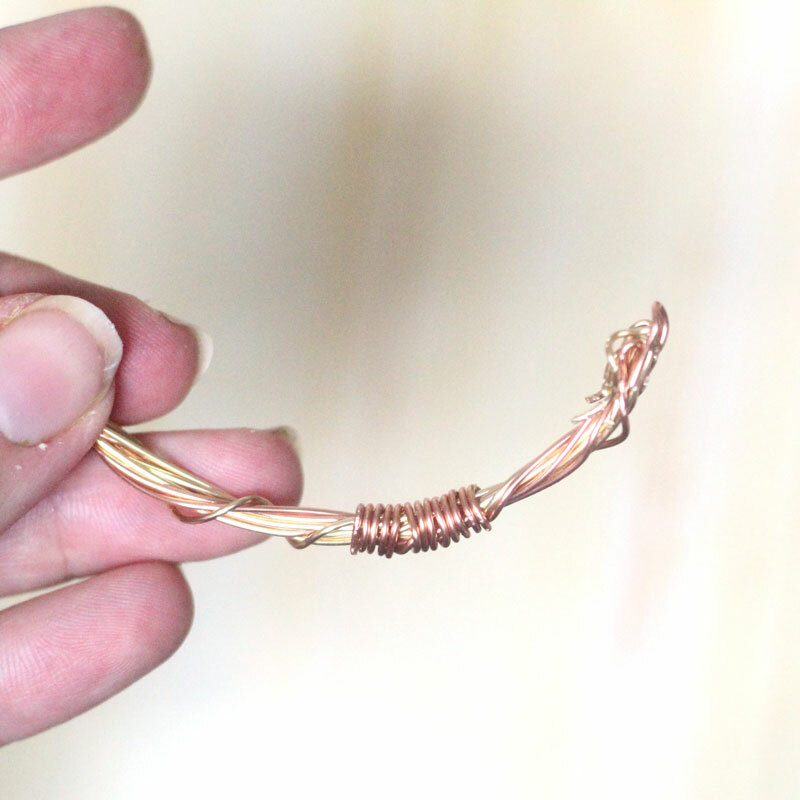 The thing with making a wire wrapped bangle that has personality is that you really do want wire that has been through something. So unless you’ve actually botched a craft as well, you’ll have to fake it. It’s not that hard. 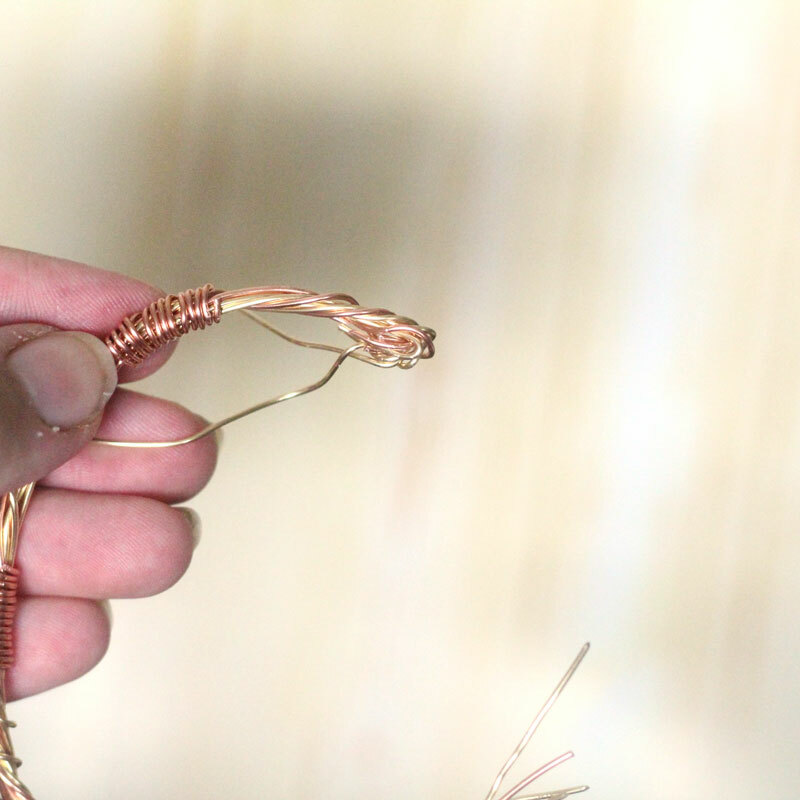 Just wrap a couple of the strands around something (such as a pencil, a strand of beads….) to add some kinks and personality, and then remove it. 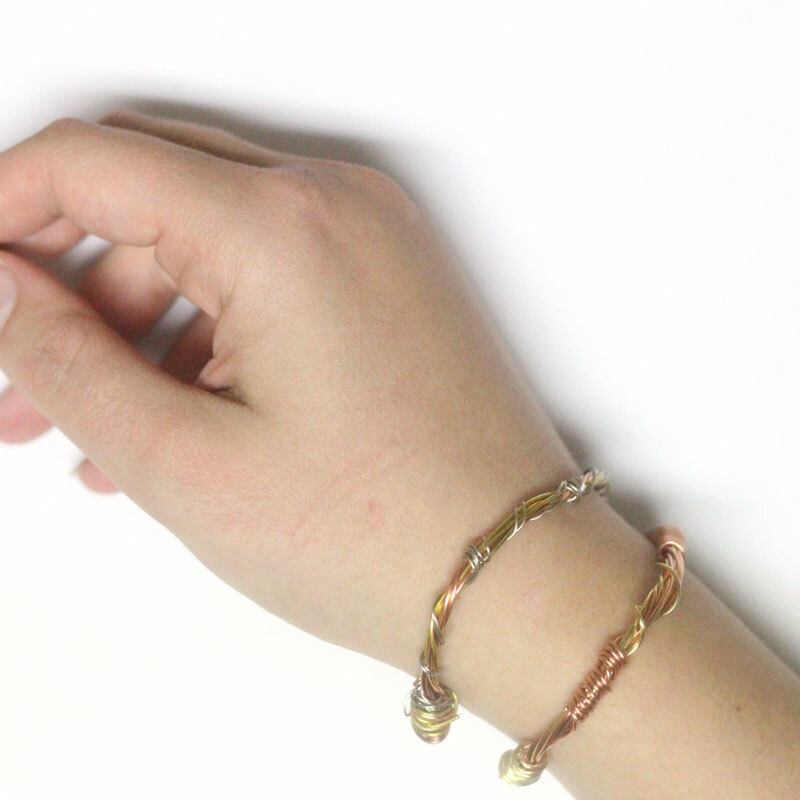 This DIY wire wrapped bangle is perfect for stacking or for wearing alone. 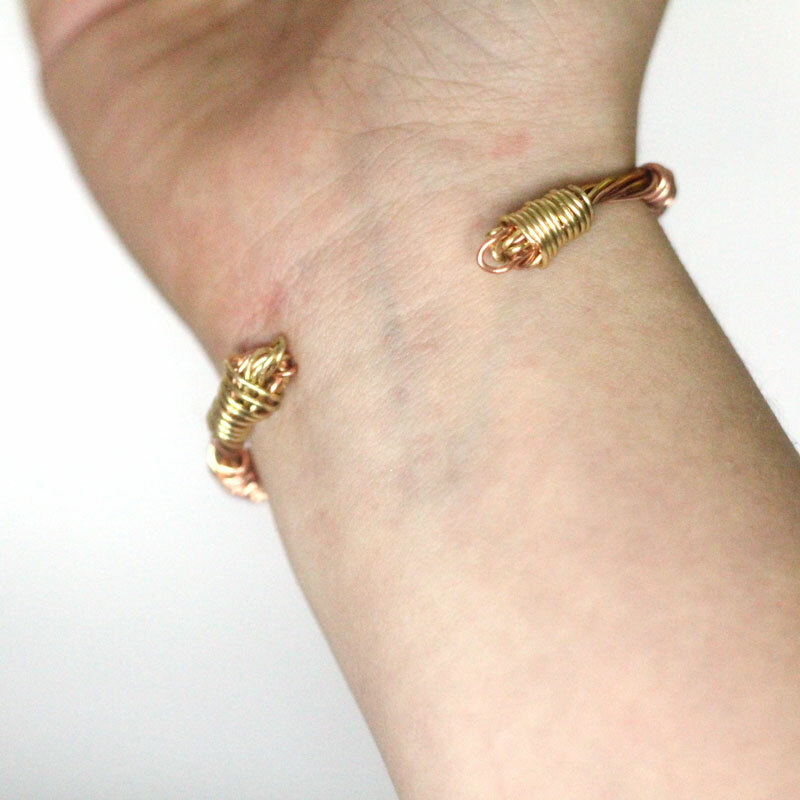 You can stack it with another bangle or with a favorite bracelet. 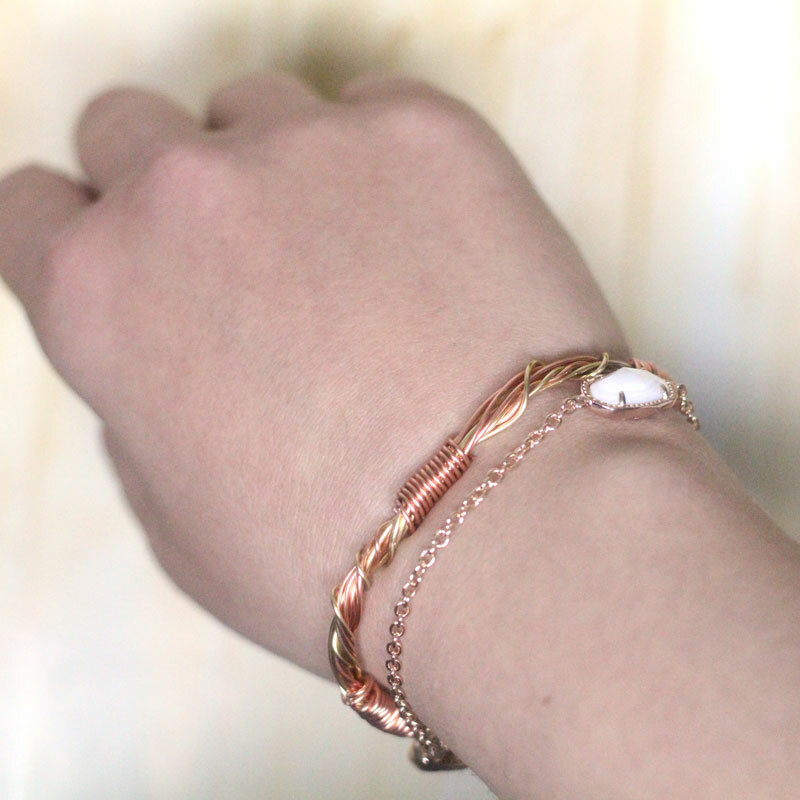 The bracelet pictured here is from Kendra Scott and it goes so well with it. 1. Cut a bunch of wires in a color or two. 2. Kink them, twist them together, wrap them around each other, and make it as messy as possible – while still looking nice. 3. 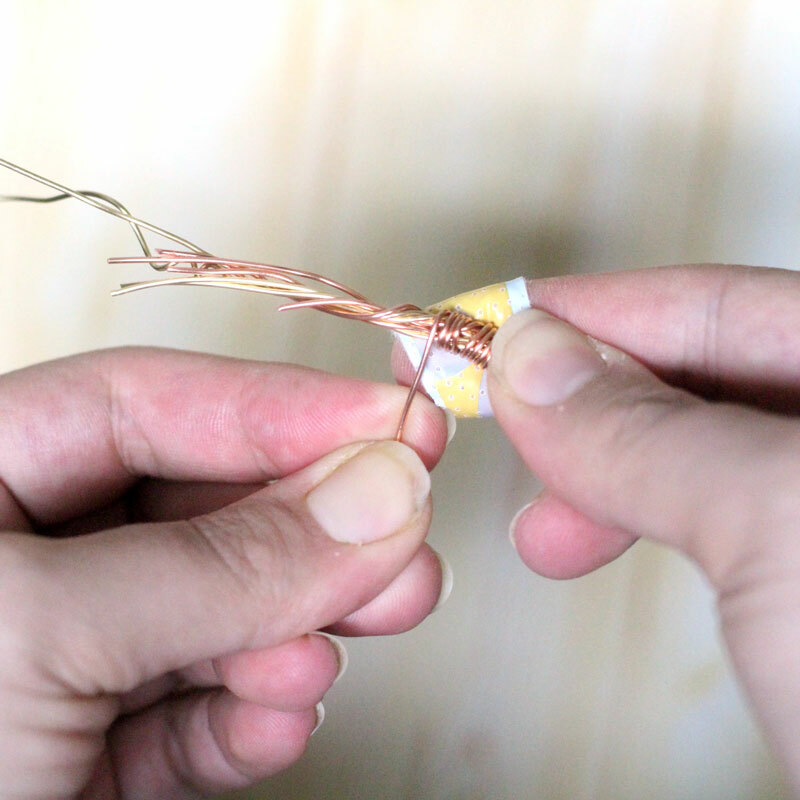 Wrap a neat bit of wire in about three increments to pull things together. 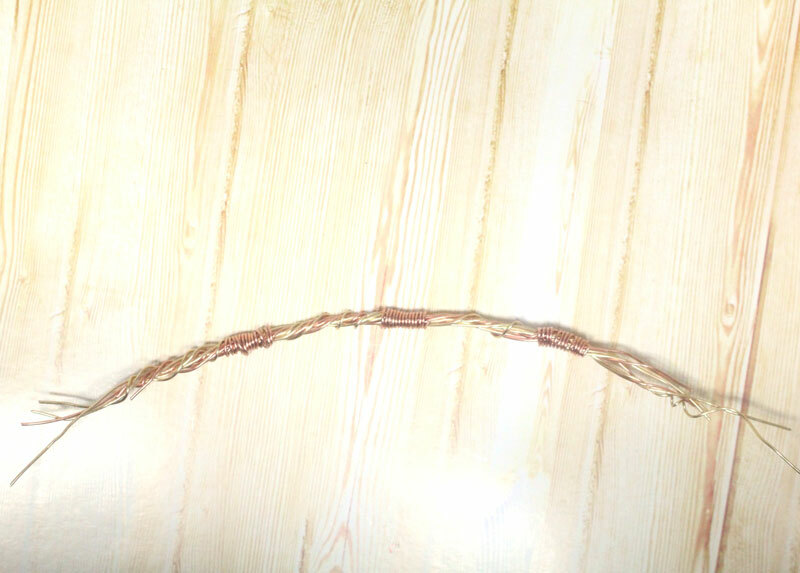 When you trim it, make sure to squash down/tuck in the ends so that they don’t scrape your hand when you wear the wire wrapped bangle. 4. Curve it into an arch. 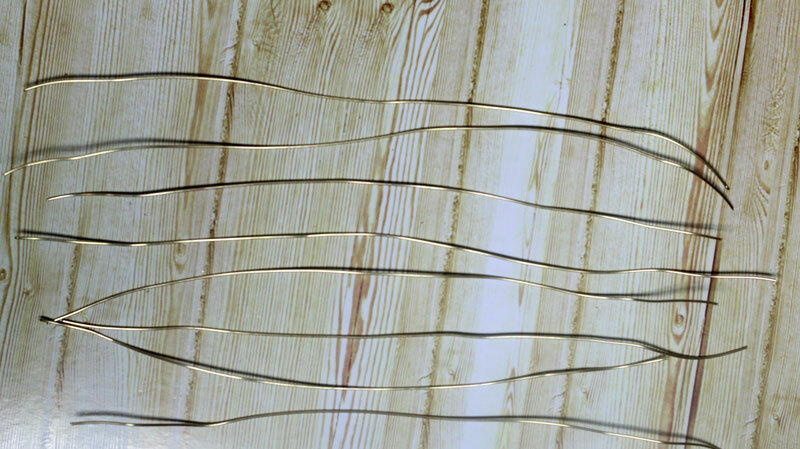 Now may be a good time to measure it for size, but make sure not to poke yourself with the loose wires. 5. 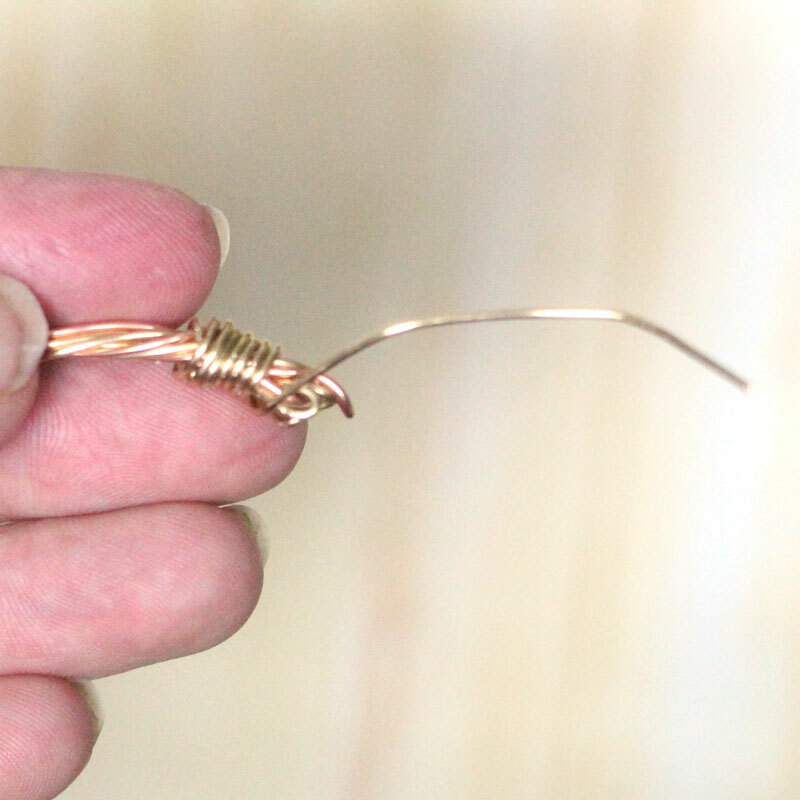 Fold over the wire ends, sizing your bangle. 6. Trim any long ends. 7. 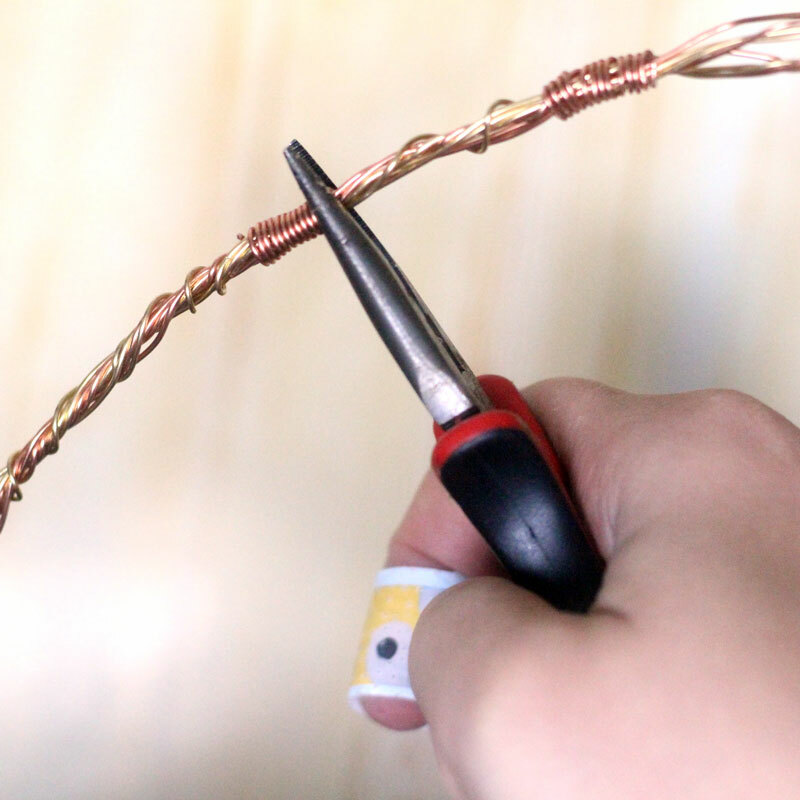 Wrap a neat coil of wire around those ends, making sure all the sharp edges are covered. 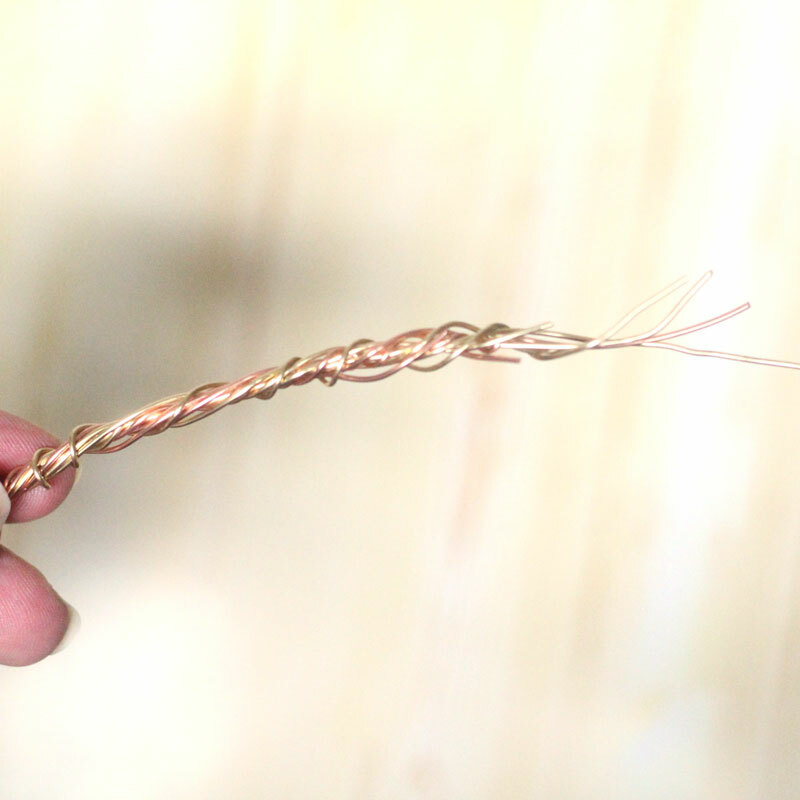 Tuck the ends of this wire coil as well. 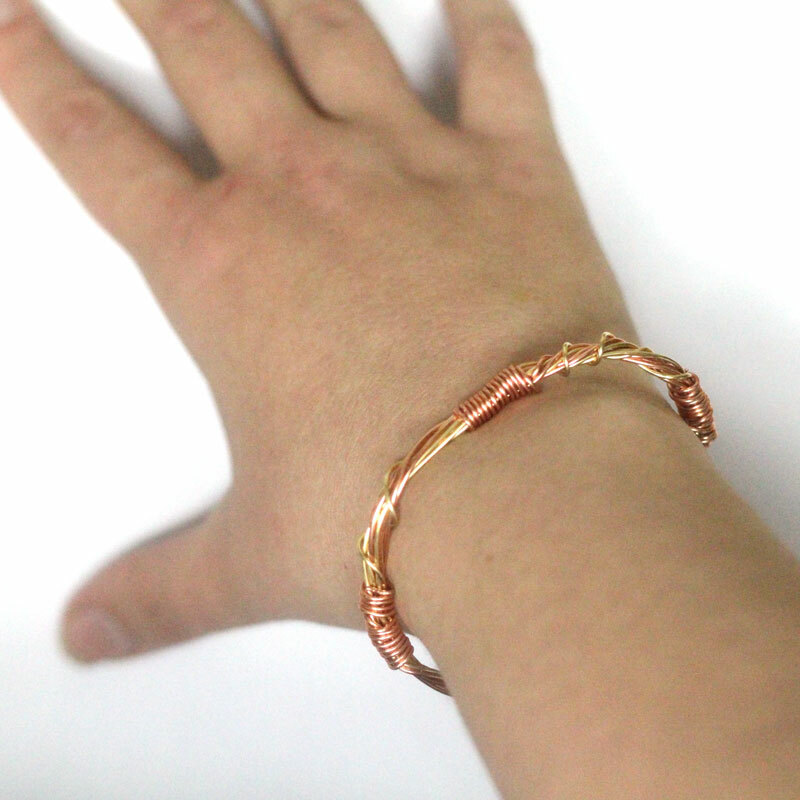 Your wire wrapped bangle is ready to wear and enjoy! You can resize it any point and bend it to the right shape. When you make it the right size, it will stay securely in place and be comfortable to wear. 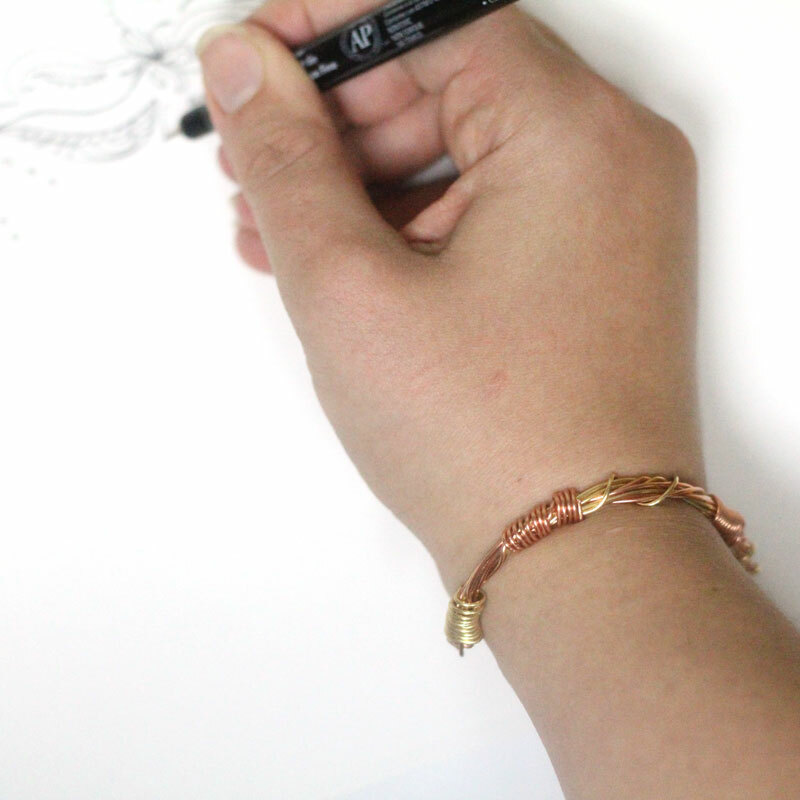 This is literally the only bangle I can actually draw and DO things with around my wrist. Crafts for Adults, Crafts for Teens, Grown-ups, Jewelry Making Crafts, Tweens/Teens. Bookmark. DIY Alphabet Magnets from Clay!